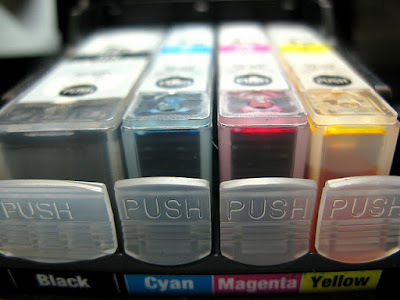 Learn how to print only the black cartridge color, follow the steps below and if you have any questions, type a comment. Set the Canon printer to print only in black or gray scale is fast and without additional drivers. The basic printer driver settings allow us to do as we please, to print constantlythat is all files in the future just black or just a paper space. It is from us based on our need to choose the first option to leave all documents to print in black or select each time you want to print documents in only black color, repeat the recommendation is depending on your need. The process may vary depending on which printer to use and which operating system is installed, then we will try to explain a configuration that can be used in various printers, place settings vary but the meaning is not. It's appears menu available for this printer where you can modify what you want the printer. At the top are going to principal, at the bottom a selection of black printing / single gray scale displays. In this system only it changes the way to reach the printing preferences, make the printer print only black is the same as we have seen for the Windows XP system. The difference is getting to the printers, operating systems vary interface their systems when they go to market modern versions of their systems. Windows 8 gives us the ability to print only in black with Canon printers, it really does not depend on system printer settings. Follow the procedure below to go to printers and devices on this operating system. If you want to print just one page with this configuration should be when the dialog box just before printing preferences to print the procedure before as it appears. The advantages of choosing the latter option is that it will not be the configuration, the downside is that we will be spending color ink unless we want and it only works for a printed document.